How many of you include animals on your cards normally? Not me. Maybe, for a baby shower card but that's about it. 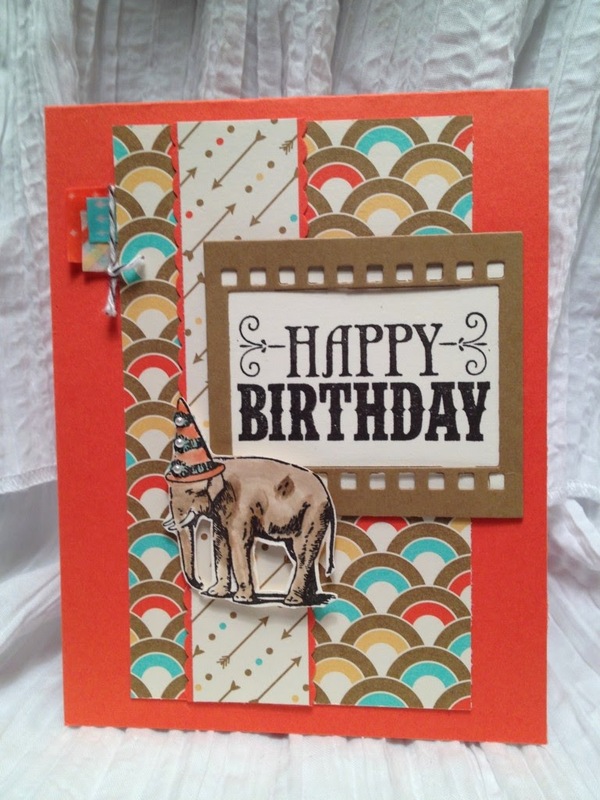 So I scrounged around in my stamp room and came across this elephant that I have always liked. He's such a party animal so a happy birthday card it became. 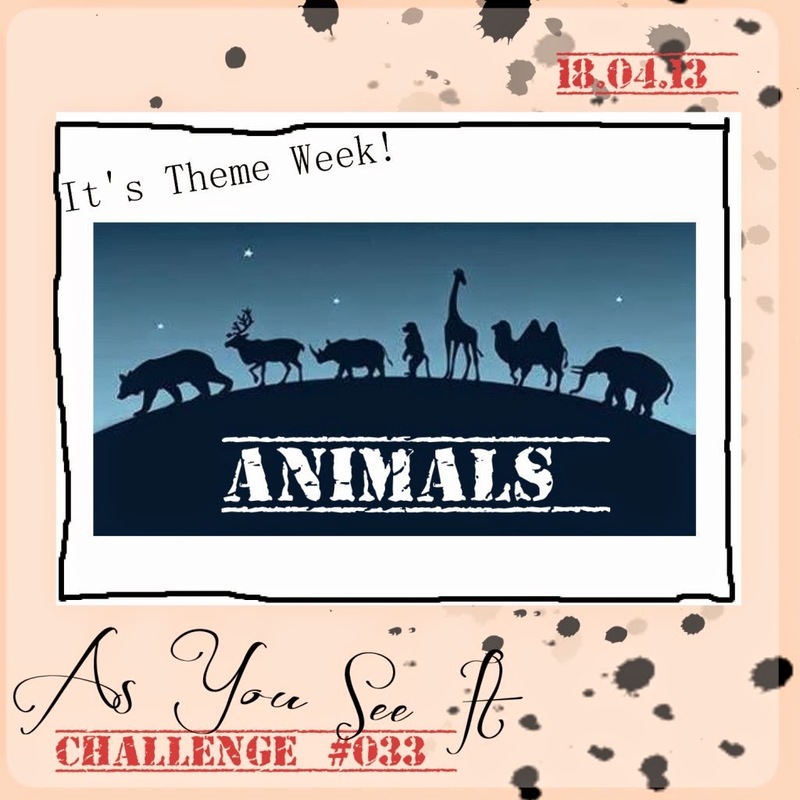 Please play along with us at www.asyouseitchallenge.com this week & show off your animal inspired project! Ohh weee, this was a fun one this week. Here is my design this week. 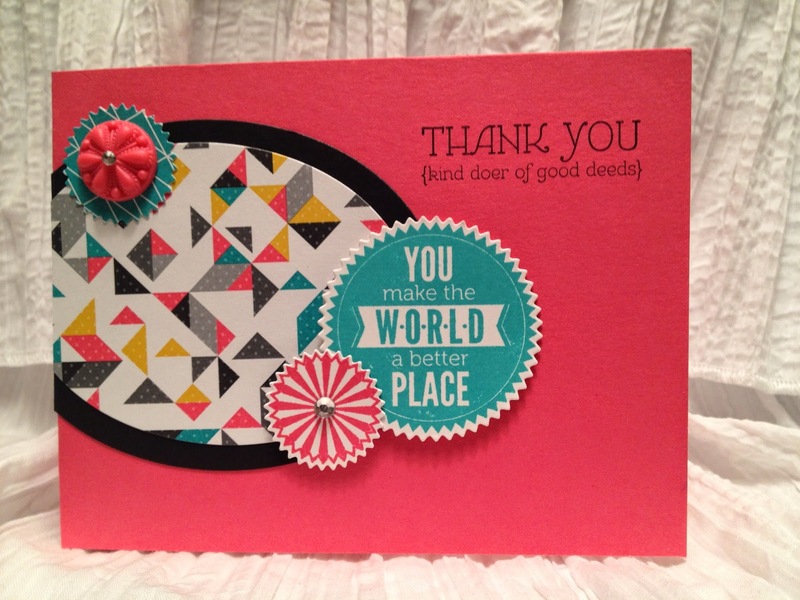 I used the oval framelets and the new starburst framelets. I've been lovin' them for quite a while but this was the first that I went ahead and used them. House of Blues, speed style! 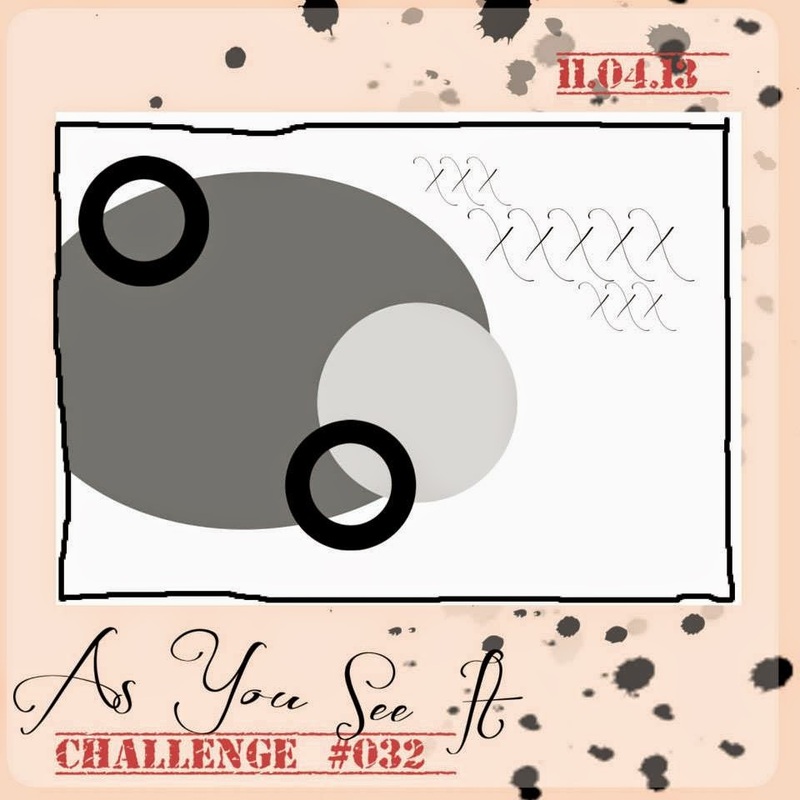 Are you ready for a new style of challenge? This one is sure to get your heart pumping. 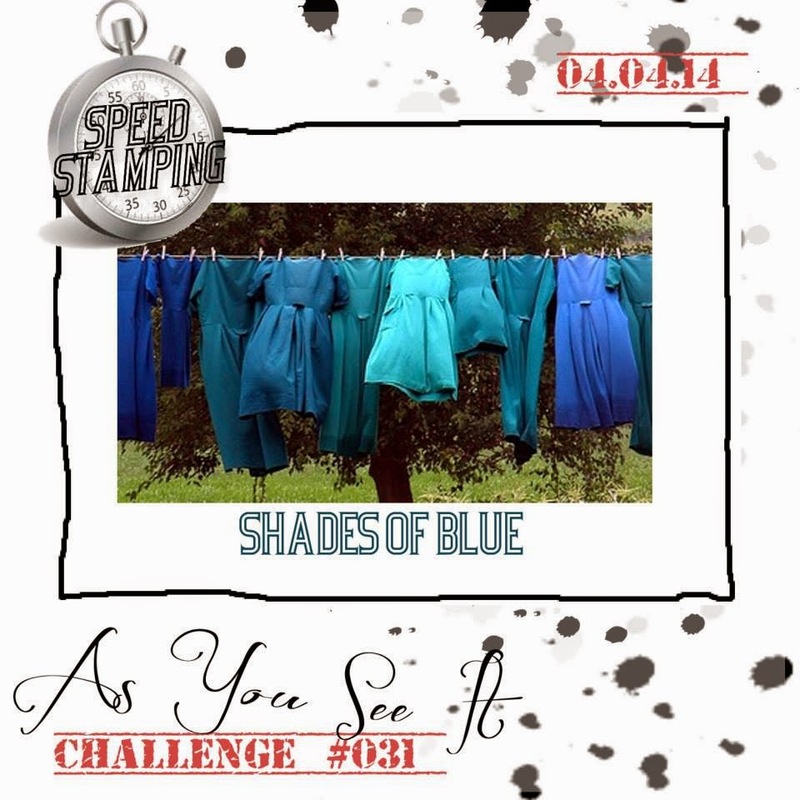 Here's the rules: You need to focus on shades of blue and do it in 10 minutes or less! I have to admit this challenge did make me panic a bit, but in the end it all came together. 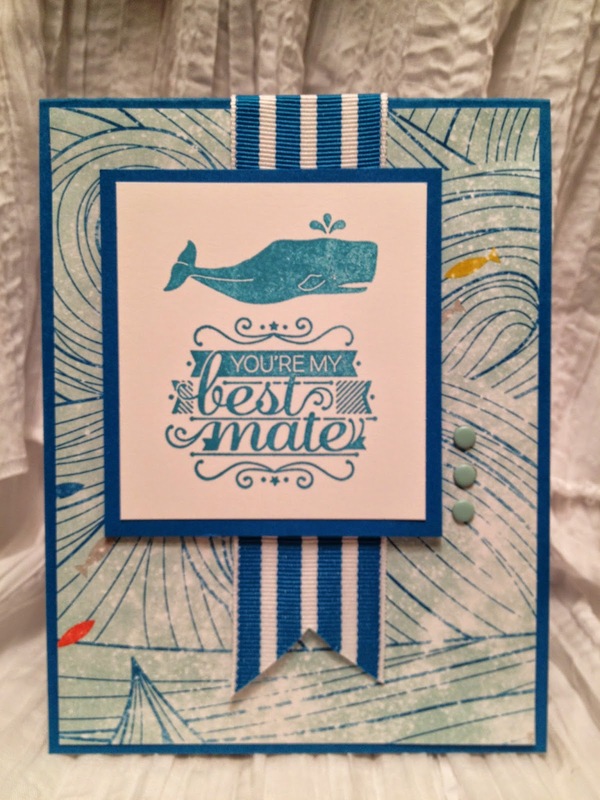 I used the Best Mate stamp set from Stampin' Up! 's occasions catalog along with matching paper.